From the valleys full of rivers and meadows down to the ancient streets, from the archaeological parks on top of hills to virgin sea bays, hiking in Albania is one of the best ways to properly get to know this naturally and culturally rich place. Prepare your backpack, hiker’s outfit, and food supply and be prepared to set on a journey that will change your life! As Albania is packed with destinations where one can have amazing hiking experiences, we are presenting you with a very small selection of the absolute favorite tours by visitors! The hiking trails in Valbona and Theth always top any list! 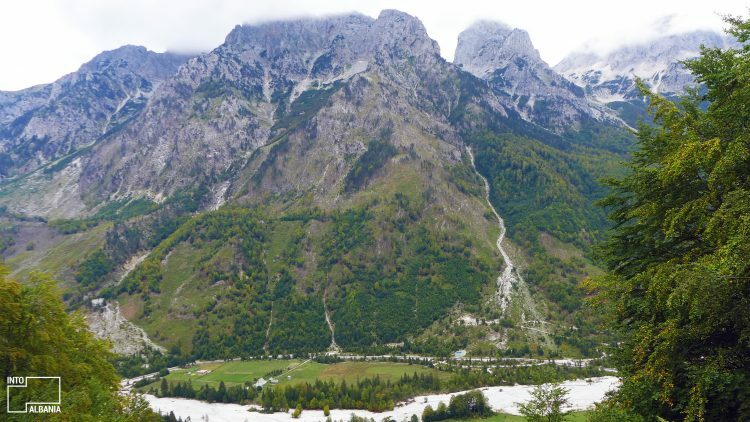 The locations of these two destinations in the midst of the Albanian Alps, and the connection of the valleys through the Valbona River at 1800 meters above sea level, enable thousands of tourists to discover Valbona and Theth’s natural wonders each year through hiking. Some of the hiking tours offered in these two destinations: JourneytoValbona, Discover Albania, OutdoorAlbania, Zbulo, AlbanianTrip, Tourradar. 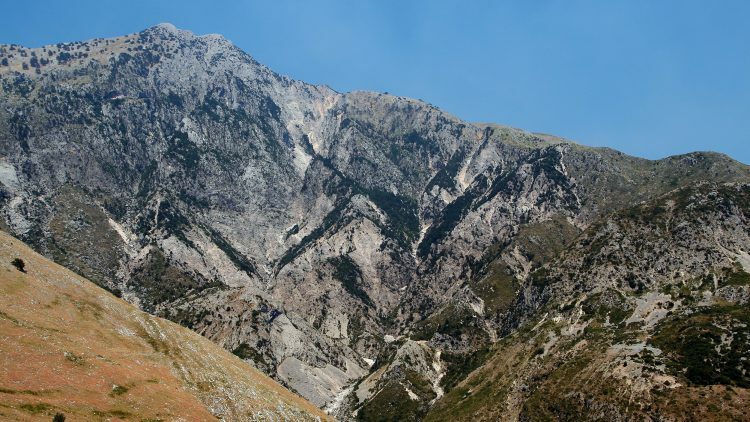 The “Accursed Mountains,” the home of myths and fascinating legends as well as that of Albania’s highest peaks, also offer spectacular landscapes and natural trails made for hiking. Usually, hiking tours in these areas are offered in tandem with Valbona and Theth, making it a several-day long hiking trip. Click here for more info: Lonely Planet, Walks Worldwide, OutdoorAlbania. As you move towards the center of Albania and approach Tirana, the capital and starting point of many tours, you may hike for one or a couple of days in the many natural beautiful areas surrounding the city. The Dajti Mountain, Karsti i Malit me Gropa (The Mountain of Holes), the Cave of Pëllumbas, the Waterfall of St. George, the Eye of the Cyclops, the Canyon of Erzen River, and the Canyon of Holta, are only a few of the gorgeous hiking sites at a very close distance from the capital. For more information, click here: Visit-Tirana. For a hiking tour at Mali me Gropa (The Mountain of Holes) click here. You may find the most updated information on the companies’ Facebook pages: Klubi Discover Albania. Hiking along the south of Albania, where the sea and mountain seamlessly join together, is a rare opportunity, not to be missed if only for the extraordinary sights and panoramas! More general tours include hiking trails around the crystalline waters of the south and the surrounding nature. Other available tours focus on UNESCO protected sights and cities such as Berat, Gjirokastra and Butrint as well as the exploration of the area’s rivers and lagoons. Click here for available tours in the south of Albania and find the one that most suits your interests: Discover Albania Now, Outdoor Albania, Zbulo, AlbanianTrip, Tourradar, Happy Tours. 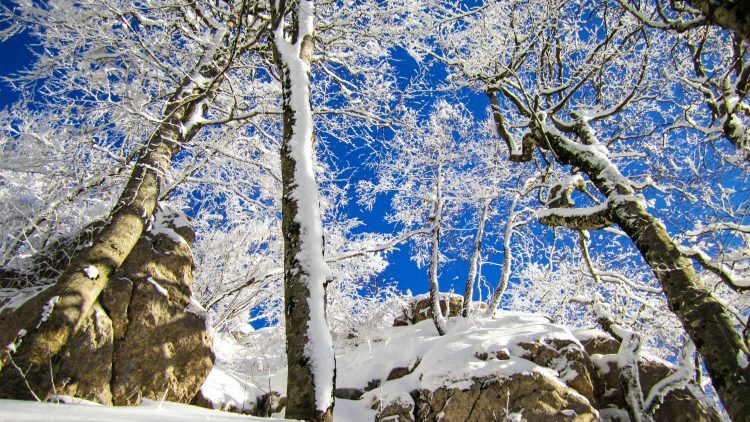 One of the most popular hiking trails of the last few years is the one which retraces the steps taken by the great Romantic poet, Lord Byron, while journeying in Albanian in the beginning of the 19th century. Albania left its mark on Lord Byron as a great part of his epic poem “Childe Harold’s Pilgrimage” testifies: “Land of Albania/ let me bend mine eyes/ On thee, thou rugged nurse of savage men!” he passionately writes. Sensing this heartfelt passion in his lines, many tourists choose to follow this particular trail along the south of Albania! Tours of Byron’s Albania: Walks Worldwide. During the second century B.C., the Romans determined Albania’s borders, which are the same to this day, as well as other countries’, all the way to Turkey through “Via Egnatia.” This particular road played a monumental role toward the expansion of the Empire towards the East, and many of the prominent historical figures of the time, have walked on it. Today, these steps can be taken by anyone who takes this specifically designed tour of the most famous road in the history of Western civilization. There are countless experiences to be had while hiking different parts of the country, by including some historically important or nature-rich destinations or by following a specific theme, as the ones outlined above. Please visit any of the tour links to find the one for you!